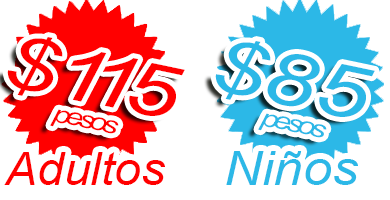 Meet admission prices for Adults and Children! The Gulf of California is considered the natural aquarium of the world due to the variety of species that inhabit it. In the Mazatlan Aquarium, there is a space dedicated to this wonderful sea, the "Oceanic Fish Tank," which is the largest in Latin America. Come meet Toby, Ely & Tito the big stars of the show. Come see how our divers interact with sharks and show you the world of diving. Visit our blog often to find out our different promotions that your family and can take advantage, besides a deep knowledge of our aquarium fauna with interesting articles. News, Offers, Articles and more. 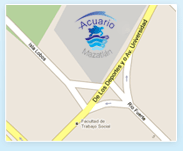 azatlan Aquariumnow you can organize events, meetings and more, include all the shows. Come and enjoy games that will test your environmental and Aquairum knowledge with puzzles, memory games and more! Visit the many attractions of the Mazatlan Aquarium: dive into the tanks, get a kiss from the sea lions, walk through our aviary and have an unforgettable adventure. We want to know your opinion, send us a message!